The professional team at ETF Model SolutionsTM, LLC has over 75 years of combined experience in the financial services industry. Three members of the firm’s management team worked together for over 7 years at a previous firm and were instrumental players in that firm’s early adoption of using ETFs in both tactical and passive strategies to reduce costs, increase diversification and investment flexibility for client portfolios. As Managing Director, Tim is actively involved involved with all primary business functions of the firm. He directs portfolio model changes with our asset management and custodial partners and is involved with the firm’s retirement plan development and servicing activities. He is also involved in the firm’s investment research and model development, index construction, performance reporting, marketing development, legal and compliance, and operations. Tim serves as the primary relationship manager for our clients,including retirement plan consultants and advisers and am the main contact for our strategic partners and service providers,including investment platforms/TAMPs, Trust relationships, and custodians. Tim brings an extensive background in the investment management and financial services industry to ETF Model SolutionsTM. Prior to joining the firm, Tim previously managed nearly all business functions for an SEC-registered ETF model management firm, including ongoing research and analysis of tactical asset allocation strategies, model trading, operations, compliance, performance reporting, and marketing collateral and web content development during his 6+ year tenure. Tim previously held roles as a portfolio manager and research analyst. Tim also worked at William O’Neil+Co., in Los Angeles, CA, where he served in various capacities, including fundamental research, institutional marketing, and National Sales Manager for the firm’s $300 million mutual fund AUM. Tim has been quoted in national business publications and has appeared on CNBC. 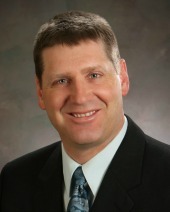 Tim earned his Bachelor’s Degree in Business from the University of Wisconsin-Oshkosh. Tim earned his MBA from Loyola Marymount University in Los Angeles, CA, and is a member of Beta Gamma Sigma National Honor Society. As Chief Investment Officer, Prateek is responsible for researching, analysing, building, managing, reporting and rebalancing all our ETF based models. He also oversees the Collective Investment Fund and the Endowment IndexTM. He also manages relationships with various ETF vendors and advisors. 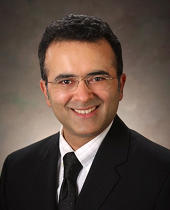 Prior to joining the Company, Prateek worked at Sumnicht & Associates, LLC (and its affiliate iSectors, LLC) a SEC-registered investment advisory firm for over ten (10) years as Chief Investment Officer and as a Member of its Investment Committee. His prior employer won numerous accolades and rankings from Bloomberg and Worth magazines during his tenure there. He was involved in helping incubate and launch their ETF model management business in February of 2005 under the brand name iSectors. In 2018, Prateek was named as one of Investopedia’s Top 100 Advisors. He earned his Bachelor’s Degree in Technology from the Indian Institute of Technology, Kanpur, India. Prateek earned his MBA from Lehigh University in Bethlehem, Pennsylvania and was a Rotary International Scholar while attending Lehigh. He is both a Chartered Financial Analyst (CFA) Charter Holder and a Chartered Alternative Investment Analyst (CAIA®). The CAIA® program is the global mark of distinction for alternative investments, and Prateek has blazed the trail by being the first CAIA® Charter Holder in Wisconsin. Award recognition does not qualify as an endorsement. ETF Model Solutions, LLC. does not make any solicitation payments to award sponsors to be nominated or to qualify for nomination of an award. 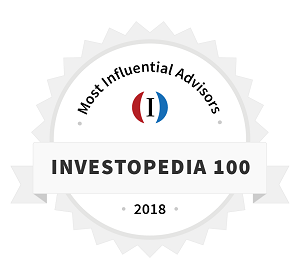 More information on Investopedia’s rankings methodology can be obtained at www.investopedia.com/top-100-financial-advisors-2018/. As Chief Financial Officer, Rob is responsible for the overall development, discipline and maintenance of accurate financial operations for our rapidly growing third-party ETF strategist firm, while assuring compliance with all SEC regulatory requirements. He also serves as a member of our Investment Committee, which oversees the creation and maintenance of all our individual ETF models. He provides direction and guidance in the implementation of expanding our ETF model’s distribution through the creation of strategic platform and advisor relationships. Rob’s 30 years of professional experience is key when consulting with client families, businesses and institutions. He began his career at Arthur Anderson & Co., as a staff accountant, serving the needs of small business clients. He was the founder and President of Fox Valley Spring Company and President of Oak-Bay Corporation. Additionally, Rob held a consultant role providing strategic advice to entrepreneurs in areas such as corporate structure, customer base, product mix and systems. For the ten (10) years prior to joining our firm, Rob was the Director of Wealth Management and a Member of the Investment Committee at Sumnicht & Associates, LLC. During Rob’s tenure with his prior employer, the entity won numerous accolades and rankings from Bloomberg and Worth magazines. He was involved in helping incubate and launch their ETF model management business in February of 2005 under the brand name iSectors. Rob received his Bachelor’s Degree from Marquette University in 1980, with a double major in Accounting and Finance. 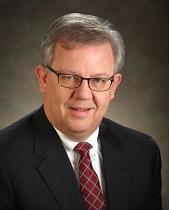 He received his CPA designation from the State of Wisconsin in 1983, became a Certified Financial Planner (CFP®) in 1984, and received his Accredited Wealth Management: Advisor (AWMA®) designation from the College of Financial Planning in November 2005.